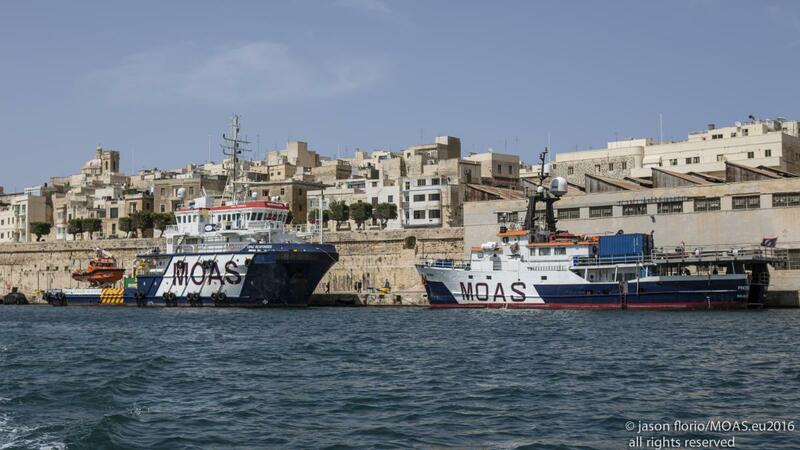 Migrant Offshore Aid Station fleet readies for June 6th mission launch after Mediterranean’s deadliest week. 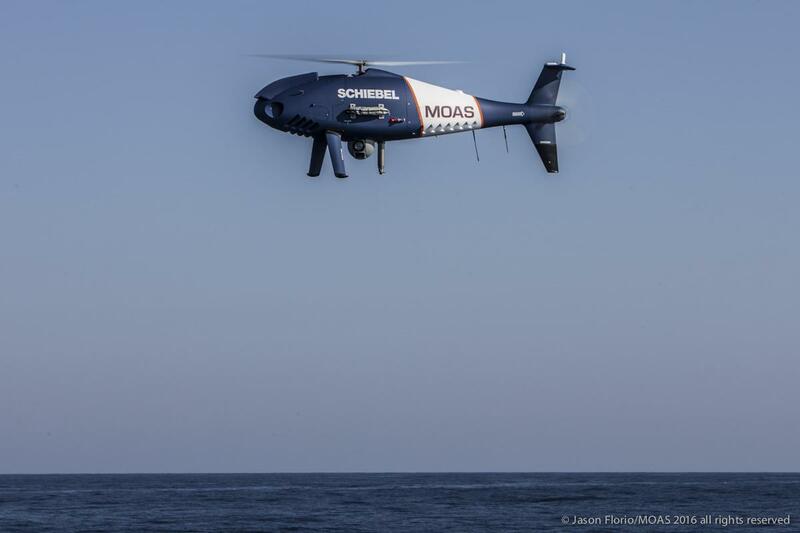 Professional search and rescue charity Migrant Offshore Aid Station (MOAS) will enhance their life-saving efforts in the central Mediterranean this year by deploying two ships and two drones. The drones will expand their patrolling area to cover what is called the ‘dead zone’: the fatal few miles from the Libyan shore. 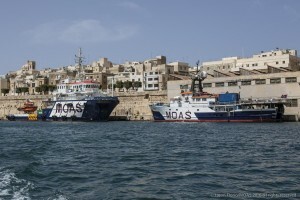 MOAS will launch its third season of rescues in the Central Med on June 6th, with the 40-metre ship M.Y. Phoenix, which has just returned from her mission in South East Asia, and the 52-metre Responder, a new offshore emergency response and recovery vessel, that has also just arrived from the Aegean after saving almost 2000 refugees. The two vessels will work in concert with the two S-100 Schiebel Camcopters to cover huge swathes of Mediterranean waters. The remotely piloted aircraft stay aloft for about 6 hours, cover 97 nautical miles of ocean at 100 to 241km/h and send back high resolution images using sensitive day or night optics. 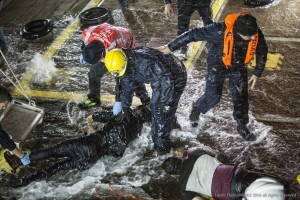 After three years of constant focus on the perils of humans at risk at sea, MOAS predicts that the situation in the central Mediterranean is expected to be much different this year. MOAS explored the developments of the migration influx to Europe by hosting the May 27th MOASxChange conference. Experts from the research, medical, humanitarian and media spoke out about the changing face of the migrant crisis in 2016. Key differences for 2016 will be: the hardened stance of Europe towards the influx, the increased violence in Libya and Syria and a general lack of choices for people desperate to find safety or hope will cause further hardship for millions of asylum seekers. 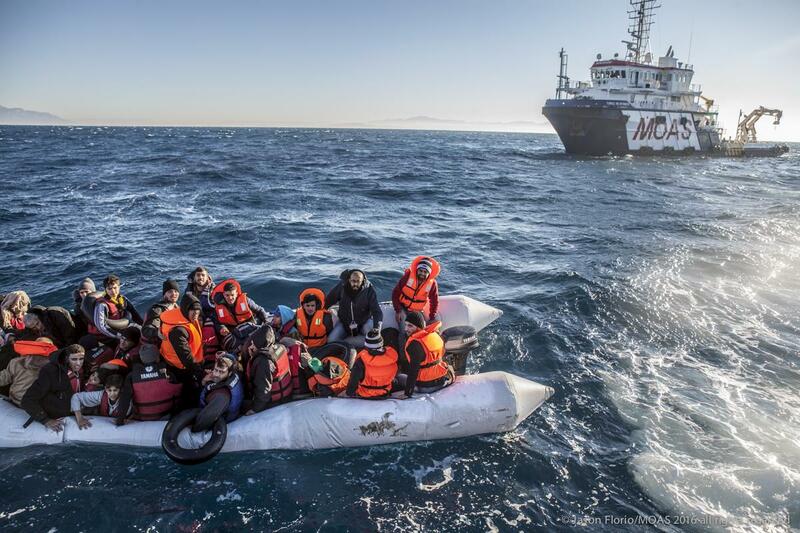 “Despite the presence of various assets at sea trying their best to saving lives, there is still urgent requirement for professional search and rescue operations as the awful incidents of last week have shown” says MOAS’ founder Christopher Catrambone. 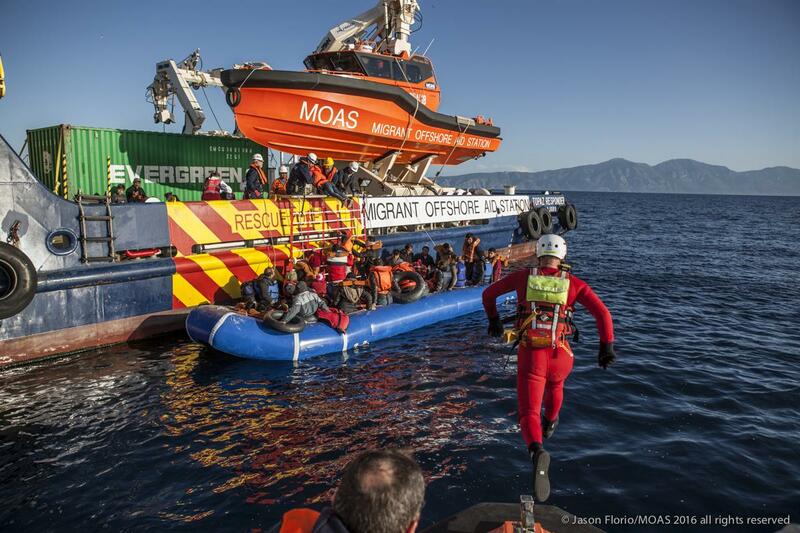 MOAS began as a specialized Search and Rescue NGO in 2014 with Search and Rescue and medical professionals on board. MOAS works with all stakeholders and is the only charity accredited by the IMRF to conduct professional SAR in the Mediterranean. “I am deeply saddened that people are still dying in such horrible conditions. Last week, 45 bodies arrived in my home town Reggio Calabria. 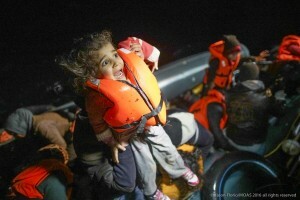 The majority were women and children. We must not become desensitized by this humanitarian catastrophe” says MOAS co-founder Regina Catrambone. “MOAS need the generous support of public donors to keep saving lives. We all have the moral responsibility to end this. Only together we can make a difference”. For MOAS publicity usage only, all rights reserved. Credit: MOAS.EU/Jason Florio. 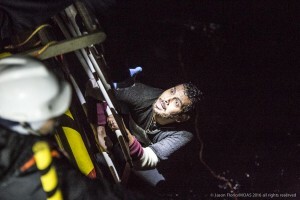 Footage captured during MOAS’ 2015/16 operations in both the Mediterranean and Aegean Sea where more than 9,000 people were rescued or assisted.